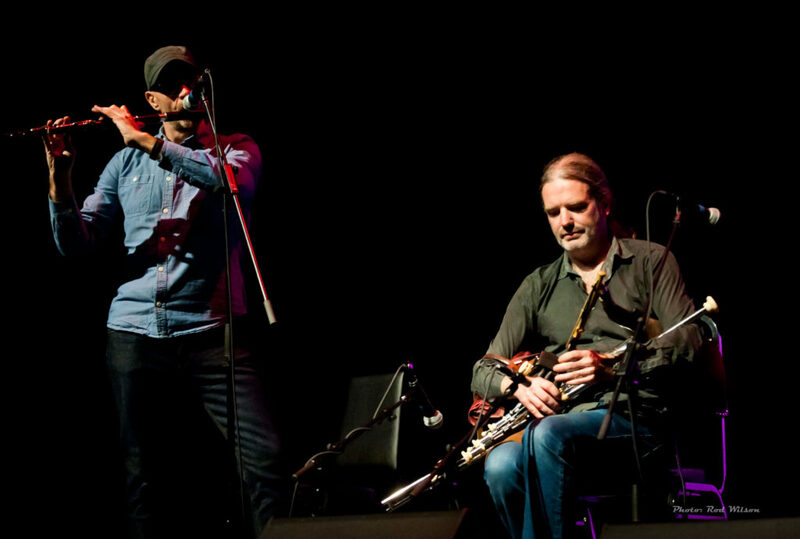 As a descriptor for the music of LUNASA “Banshee Wail” it is not strictly accurate. Wailing it definitely is but Banshee, well maybe not. A BANSHEE is a female spirit in Gaelic Folklore whose mournful wailing is supposed to warn of an approaching death in a household. 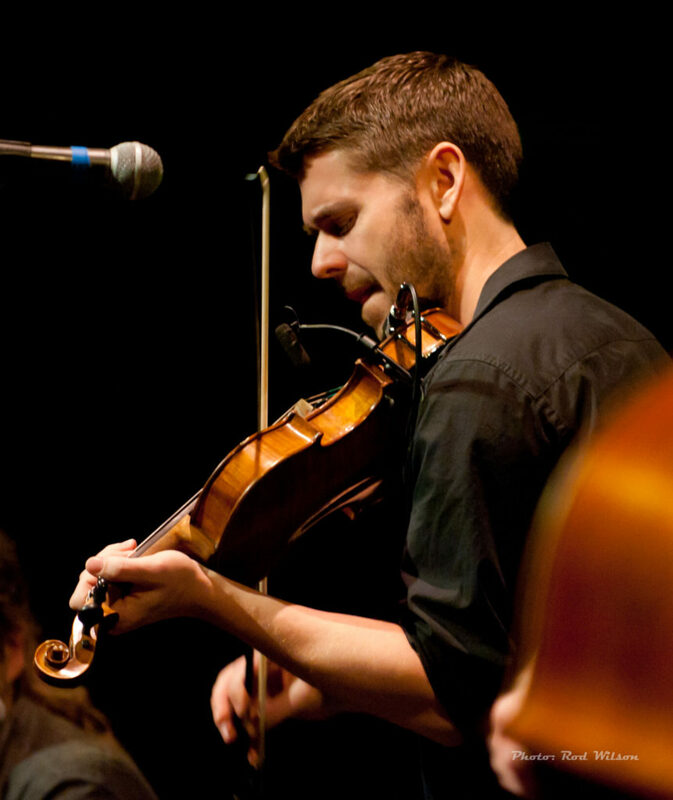 Lunasa’s music is much more joyous than that. In discussions of art, and in particular music, there are two terms generally applied; Apollonian – characterized by clarity, harmony and restraint; Dionysian – sensual, spontaneous and emotional. Forget death and destruction. 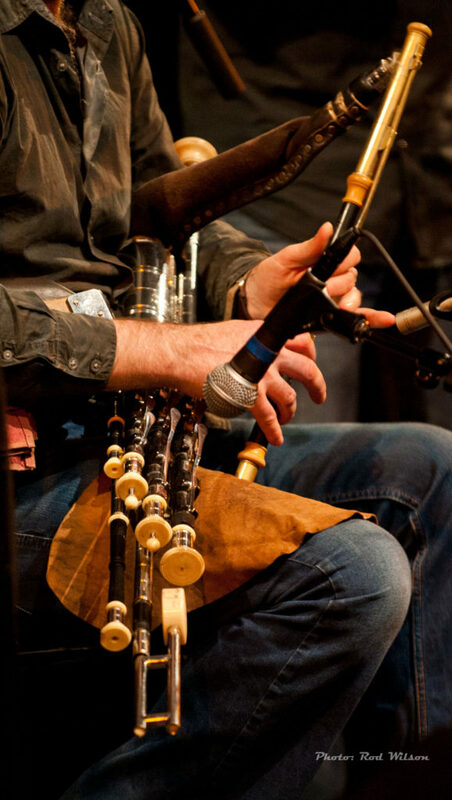 The wailing aspects of the flutes, whistles, fiddle and Uilleann pipes can only be described as Dionysian. After all it is joyous enough music to blister paint, get the feet stomping and generally bring down the roof. 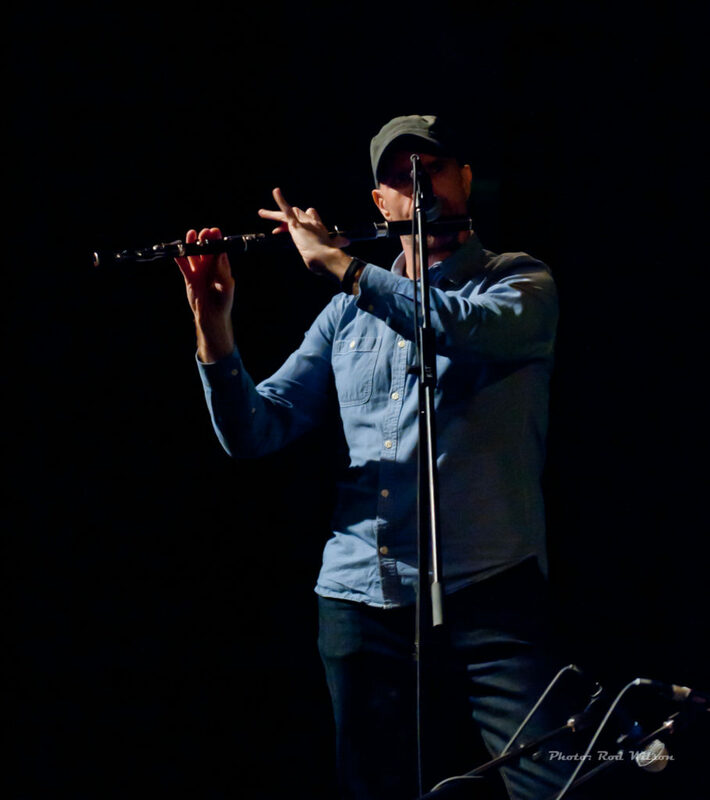 For the concert at the Key City Concert Kevin Crawford played Flute and Irish Whistles as well as doing double duty as the MC. Kevin plays custom handmade instruments by the Australian builder Michael Grinter . 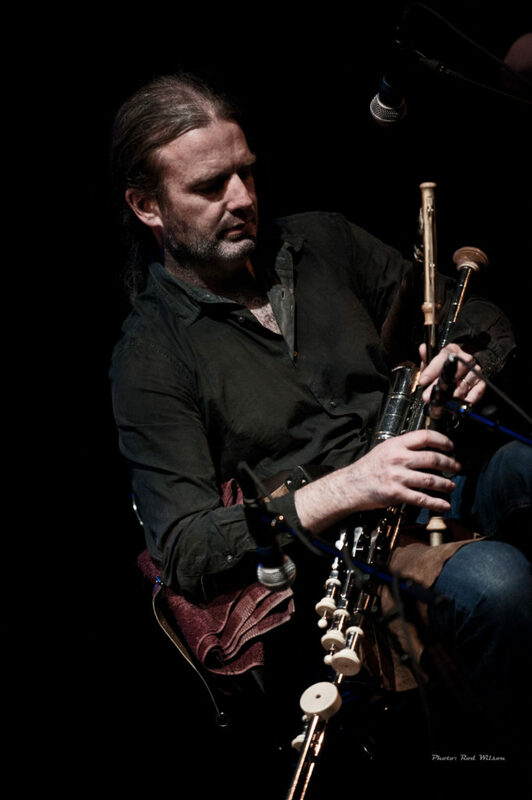 Cillian Vallely performed on that mystery of Irish plumbing, the Uilleann Pipes, and the Low D Irish Whistle. 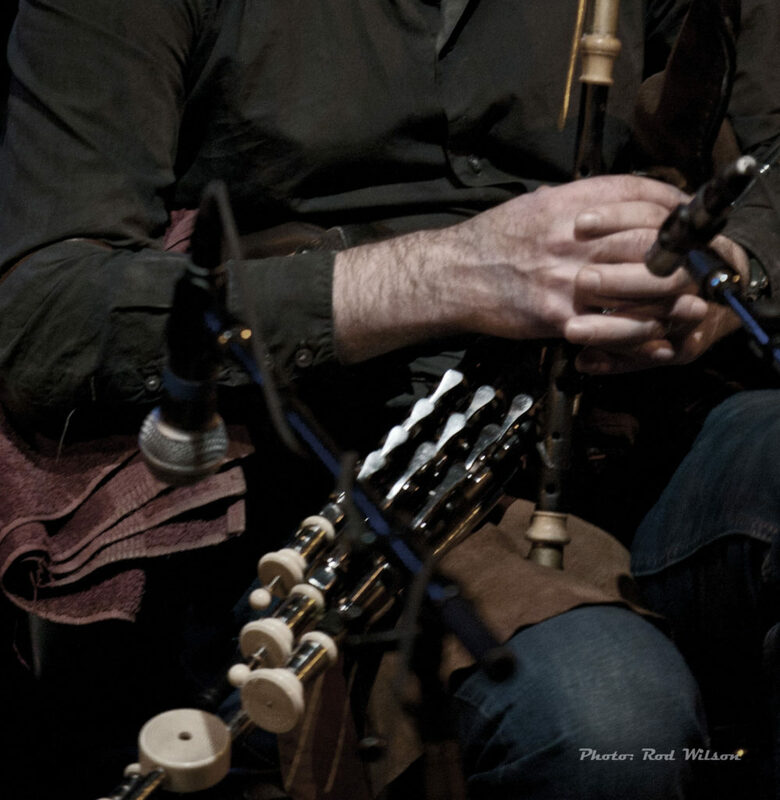 Belonging to the esteemed Vallely Family Cillian has a very honorable pedigree in the Irish music scene. 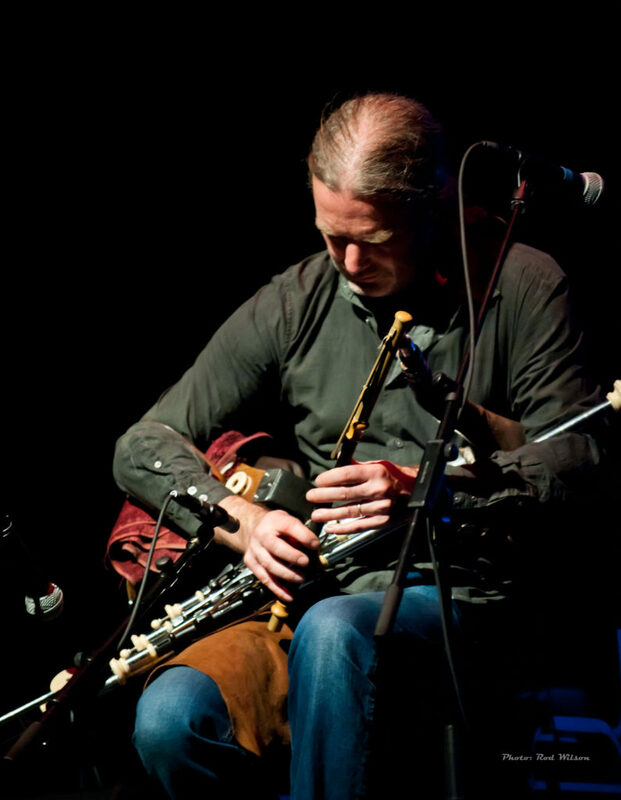 His cousin Fintan Vallely edited The Companion to Irish Traditional Music and co-authored Blooming Meadows – The World of Irish Traditional Music. Both of these have a prominent place on my book shelf. Collin Farrell, not the real Colin Farrell of Hollywood fame , that would have cost the Key City a bundle, but rather an imposter who was actually born in Manchester, England. 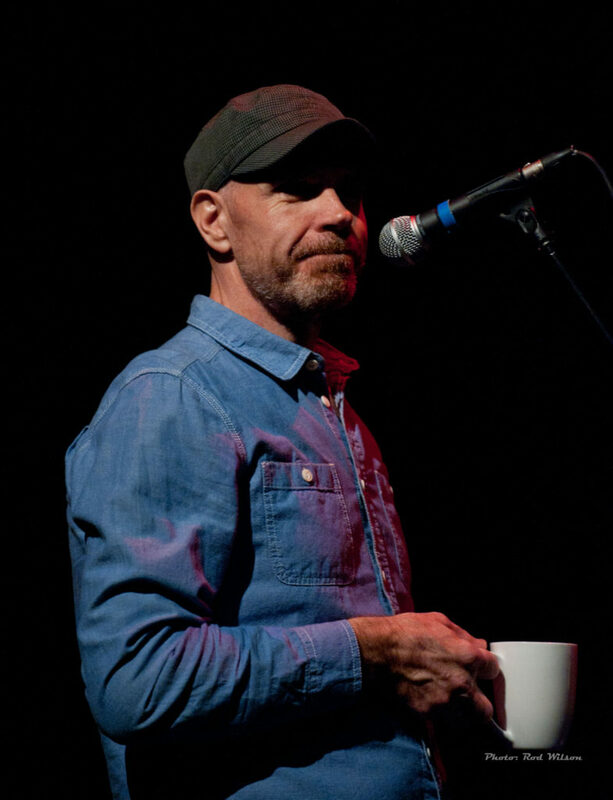 As an imposter, according to Kevin, he has scored numerous awards as performer of the year, month, week, day and on this tour and on this particular night performer of the minute on a set of tunes that included The Raven’s Rock / Ruby / The Beehive. 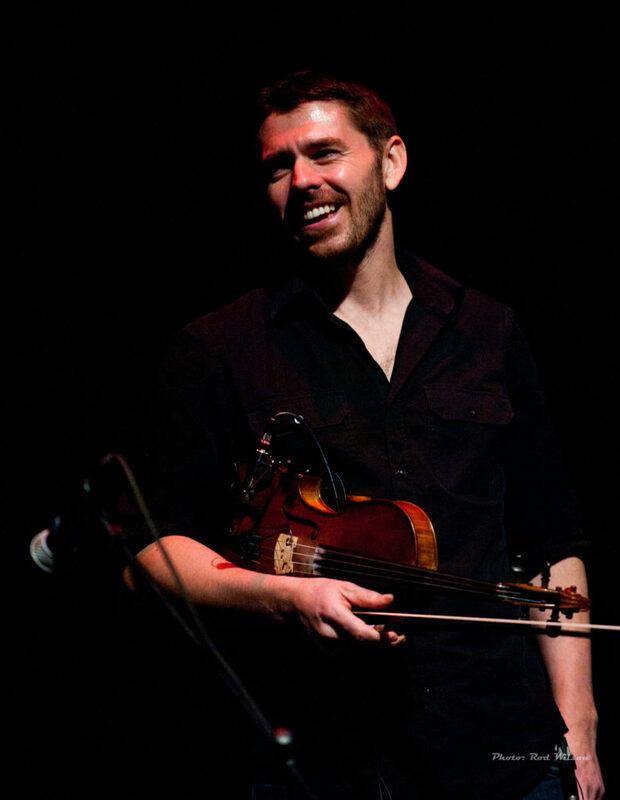 Colin brings to the stage the fire and precision of the Irish fiddle tradition that is a big part of Lunasa’s music. 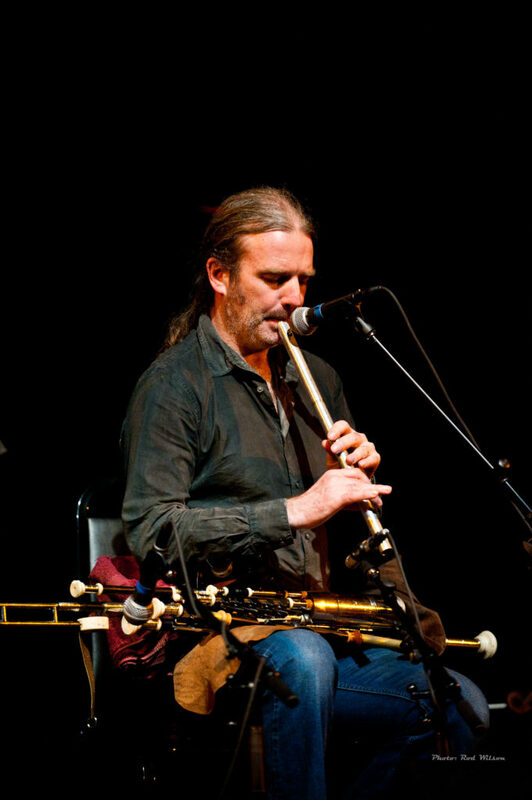 He also plays Low Whistle and in combination with Kevin and Cillian creates a unique trio unison sound on a number of tunes. 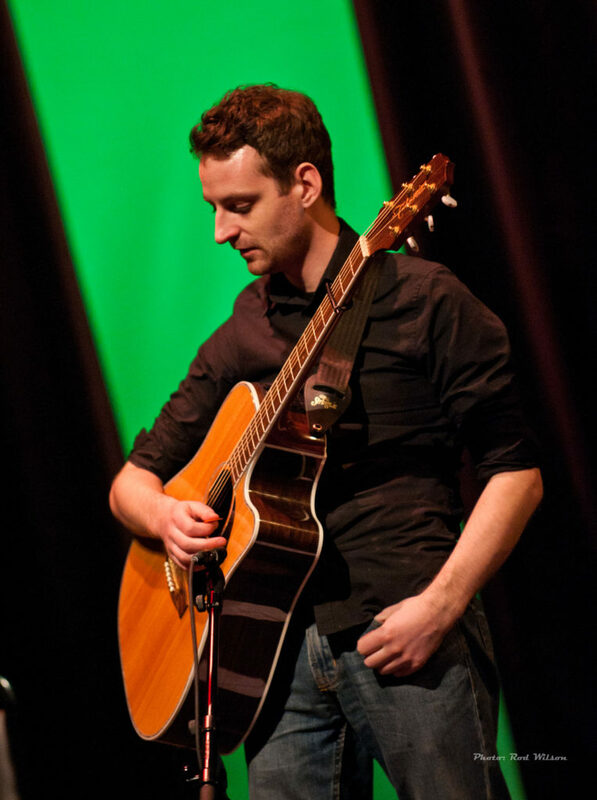 Although there are many guitarists out there playing solo finger style Celtic music the strength of the instrument in the Celtic context is in it’s supporting role as a rhythm instrument. It adds punch and drive to a band. Apart from that through out the evening Patrick Doocey did get opportunities to explore some of the delicate nuances of the guitar. Most notably in a set of Breton tunes and particularly in the wonderful Galician tune Aire de Pontdevedra. 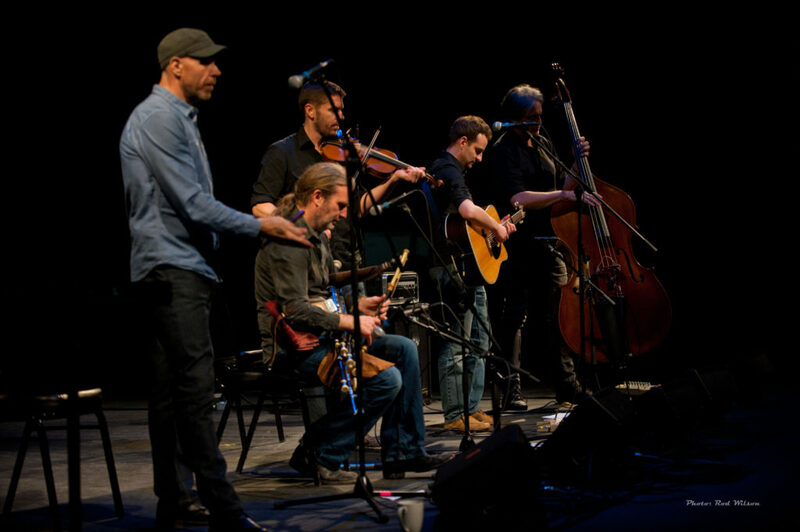 In combination with the upright bass player Trevor Hutchinson the guitar and bass combination provided the front line of Lunasa with a rock solid foundation to support their melodic explorations. 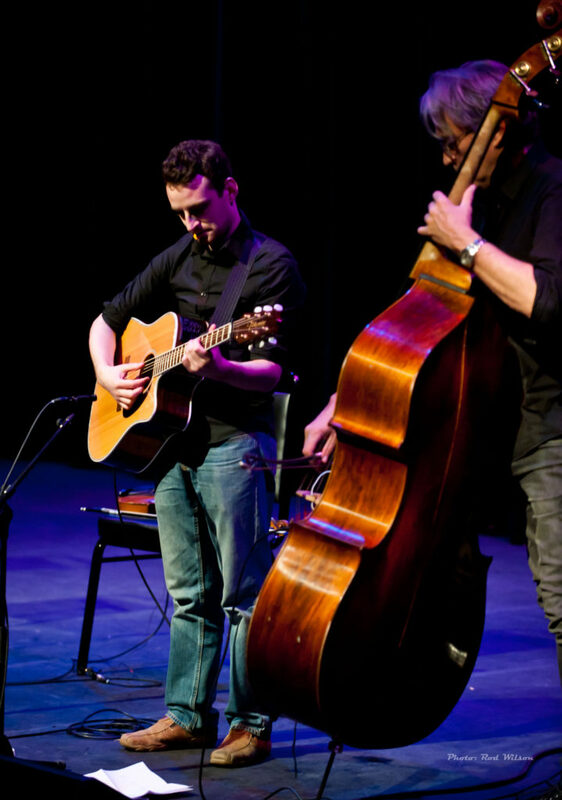 Trevor’s upright bass is almost unique in Irish Celtic music. 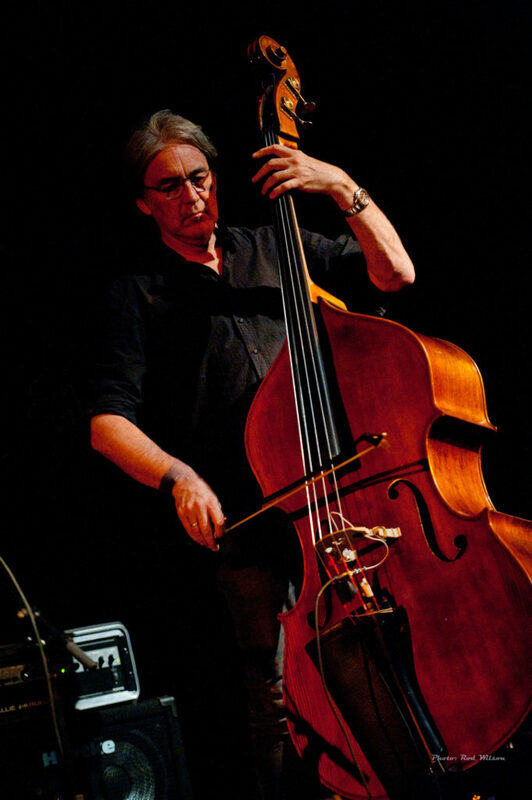 To my knowledge the upright bass, unlike in Bluegrass music, is not a common instrument in Irish Celtic music. 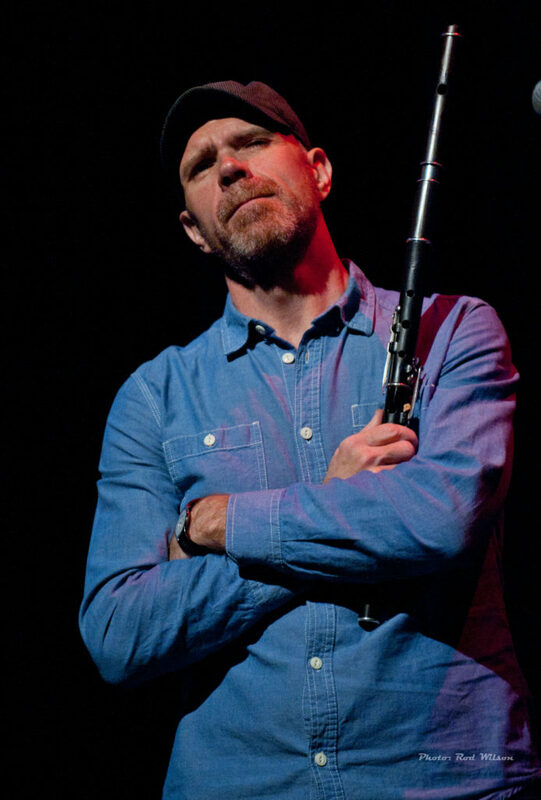 Having said that Trevor’s contribution adds an unmistakable signature sound to the ensemble. 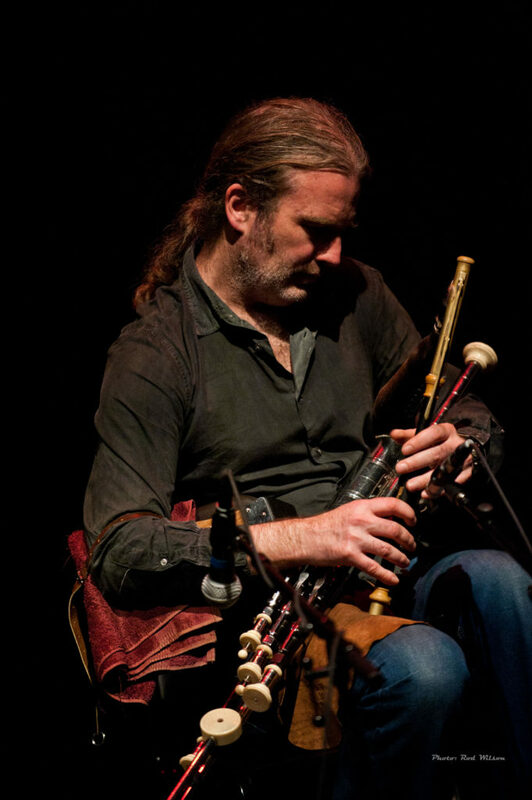 Over the years he has graced a number of bands, including those of the Irish button accordionist Sharon Shannon. 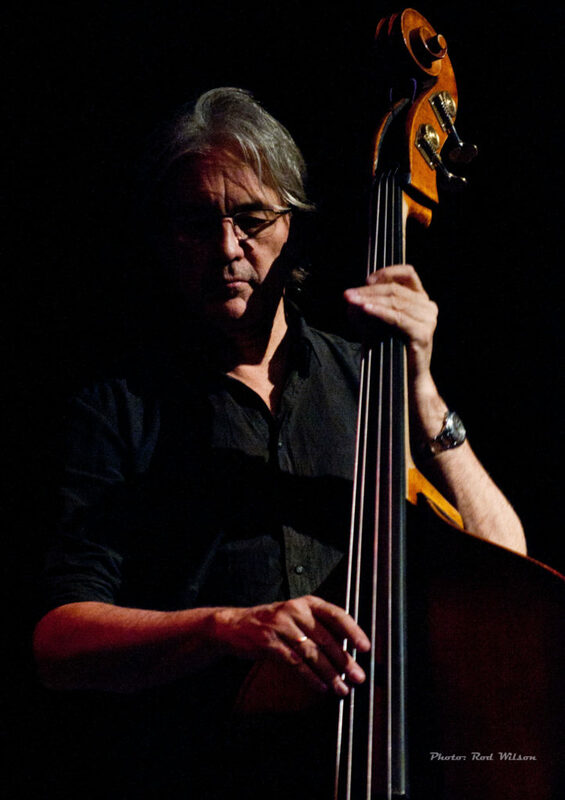 Moving around the world poses some unique challenges for a bass player . Trevor is a tall man and he requires a big instrument . The shear size of the bass is a major financial and logistical hurdle in transporting the instrument from place to place. 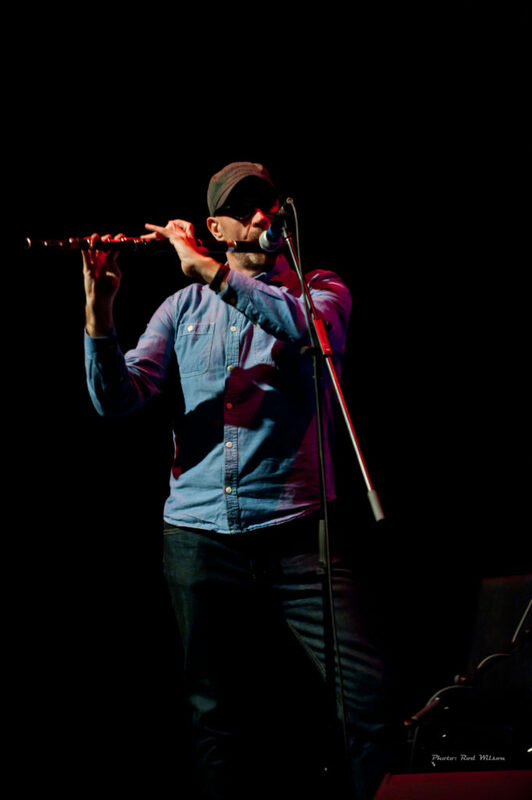 Trevor has overcome some of those difficulties by using an instrument that literally comes apart and folds down into a more manageable package. There are a number of these instruments on the market and to get some idea of the just how that is done check the link below. Here are some images from a memorable night of music.